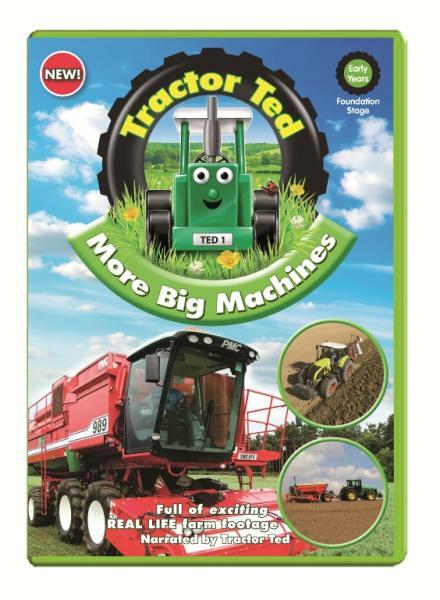 Perfect for Christmas presents, and up for a lovely giveaway is 5 sets of More Big Machines (the DVD) and an activity book from Tractor Ted? Follow the rafflecopter instructions on this post to submit your entries and be in with a chance of winning. This Christmas Tractor Ted has lots of new products and ideas to delight and inspire two to six year old tractor fans. No self-respecting toddler will want to get out of their Tractor Ted bed (£370) which even has its own steering wheel, especially if it comes with the new Tractor Ted duvet set (£35) comprising a pillow case and duvet cover. And the Tractor Ted pencil tin (£8.99) makes an ideal stocking filler. With lots of gift ideas to consider, the site is really worth a look. Along with breakfast sets, lunch boxes, jigsaws and wellies, any child can really feel at home in the countryside with Tractor Ted goodies. 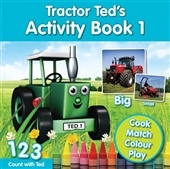 The new range complements the much-loved existing Tractor Ted DVDs, books, clothes, toys and gifts. There are now more than 15 DVDs featuring big machines, how our food is made, the seasons and looking after animals. The latest is Tractor Ted, and the one up for giveaway on Scottish Mum Blog is More Big Machines. Each copy retails for £9.99, so it would make a perfect stocking filler. For all tractor fans, there is also a fan club that children can join, they can play games on the website. Check off your answers on the rafflecopter widget and check back on the 16th December to see if you have won. Remember to leave a comment so that I can get in touch with you if you win. « Sponsored: Are You Driving Home for Christmas? I have entered thanks, my sons would love this!!!!! Entered! Love this prize, I know Melody and Flynn would too!! I couldn’t resist entering this competition. Tractor Ted is my 4 year olds all time favourite character. He has such an influence in our house that before we can eat breakfast in the morning we have to pretend to ‘combine’ the rug in the front room! I’d like to enter please, Bud loves tractors.